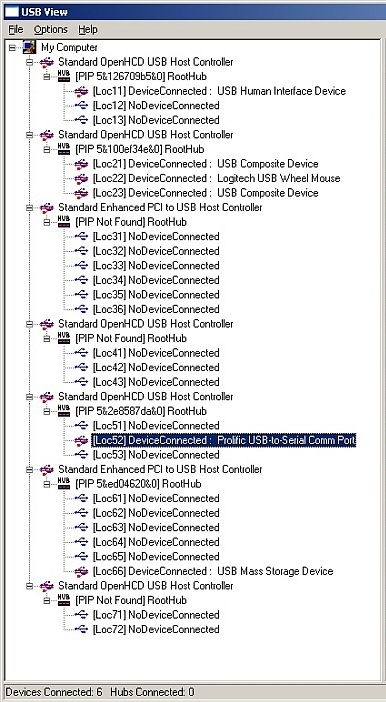 The 9-pin or 25-pin D-Sub type serial port connector is going the way of the dinosaurs on most computers these days. Yet, the people who make add-on gadgets such as TNCs, antenna controllers, etc. still crank out products that require a serial port connection. Fortunately a lot of companies make USB-to-Serial converters. Some even make good ones. I don't claim this is a scientific evaluation by any means. It is just my observation. While any USB-to-Serial converter may work in some cases it is my experience that those with an FTDI or Prolific chipset inside them will always work. Anytime I buy a new USB-to-Serial adapter I try to buy one that tells me what chipset it uses. Then, if I have a choice, I usually get the FTDI variety mainly because they were some of the first ones I found to work well and they provide good support and information. But what if you have a device and have no idea what it uses? Knowing the chipset manufacturer may help you troubleshoot a problem. Microsoft has a neat little utility circa 1968 called USB Viewer. It will show you all of the USB controllers and hubs in your system plus in most cases it will identify whose chipset is inside them and even what model chipset in some cases. In the picture below I've plugged in an adapter with a Prolific chipset. Over the weekend we got the RF part of the repeater married back up to the D-STAR Gateway computer. The paperwork is all signed with the repeater site owner, backup power outlets are installed, and data jacks are in place. Once we get a move date with the organization we'll be ready to go on the air from a respectable height! For the time being W9DUA is on the air but it has a mag mount antenna on the top of the rack cabinet. The range is suffering a bit for the time being. If you've ever wished you could have a little extra horsepower for your Arduino project then this may be just the thing. Digilent Inc. has a new 32-bit chipKIT product. One version features the Microchip PIC32MX320F128 and the other a PIC32MX795F512. Both are MIPS processors. Details are found at the link above including where to download a compatible development environment. The PIC32MX795F512 on the chipKIT Max32 board supports Ethernet, CAN bus, and full USB 2.0 connections. Sometimes you read about something in a book but you don’t really give it a lot of thought. Recently I had a chance to observe the performance of two different antenna types and I can confirm that the design differences can really affect the performance. On my tower at home I have two dual-band VHF/UHF antennas. One is an Arrow Ground Plane @ 55ft, the other is an Arrow J-Pole @ 45 ft. Both are fed by the same type coax. 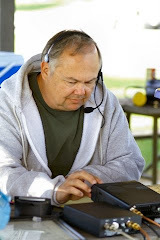 One evening I was trying to use the W9BIL D-STAR repeater in Cadwell, IL which is 49.1 miles from my house according to QRZ.com. The ground plane is normally used by my Winlink RMS Station and the J-Pole is normally on my shack’s dual band radio. I was pleased when I was able to key up the repeater operating with the J-Pole although the signal strength meter barely moved. I switched to the ground plane antenna thinking the extra 10 foot or so of height might help a little but to my surprise I could not hear W9BIL at all. I never thought much about the antennas being all that much different and assumed that height would trump anything else. Some research was in order. Let’s look at three antenna types: a simple ground plane, a J-Pole which is a 1/2 wave antenna and a 5/8 wave antenna which is another popular style for VHF/UHF. 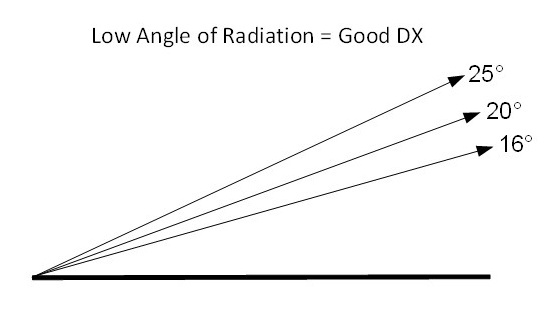 The lower radiation angle puts more of the power you’re radiating at the horizon. The higher gain means the antenna pattern is also focusing the power in the most desirable direction. For the curious, going longer than 5/8 Wave tends to hurt your cause. Beyond that length the radiation angle begins to increase. You may be wondering why I included the 5/8 Wave antenna when I didn’t have one to compare. Well, it turns out several companies like Comet make nice 5/8 Wave antennas for Amateur Radio use at fairly reasonable prices. You never know when an upgrade may be in order!